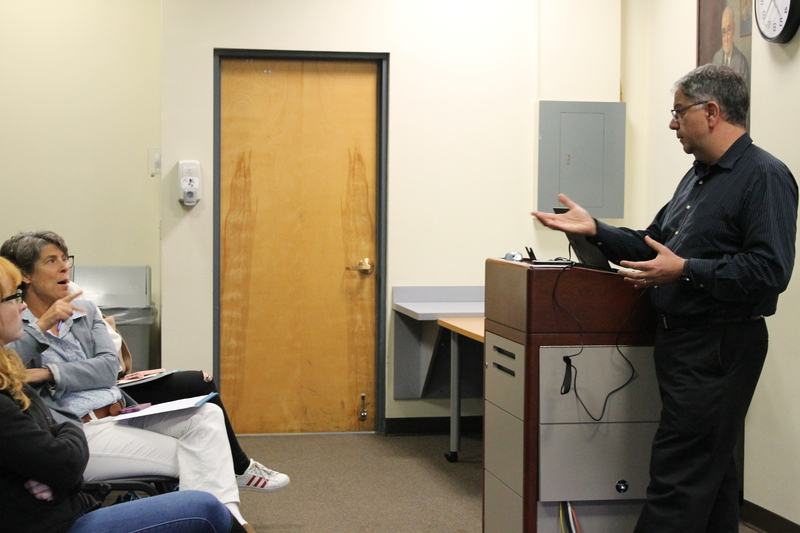 On Thursday, Dr. Michael Elasmar, a senior research fellow and associate professor of Mass Communication at COM, presented his research on the perceptual effects of social networking as a part of the Communication Research Colloquium Series. 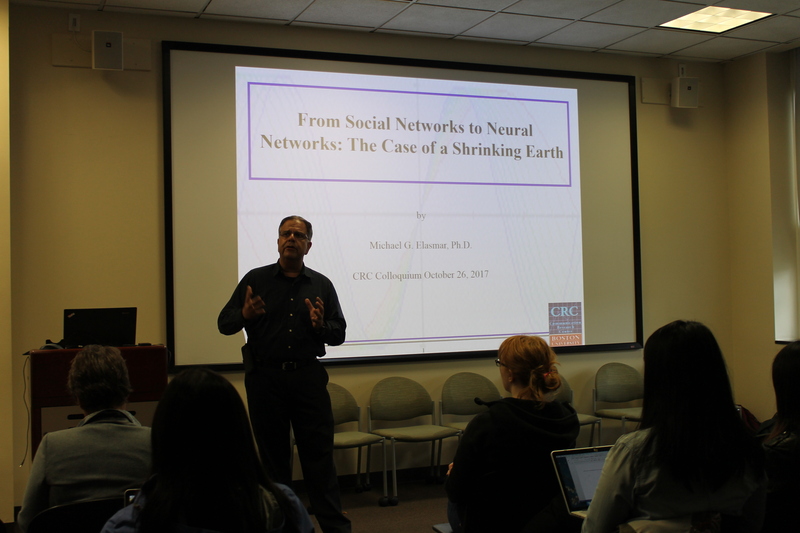 In his lecture “From Social Networks to Neural Networks: The Case of a Shrinking Earth,” Dr. Elasmar explained that his research has found that contact with Facebook friends that live abroad can change the way that users perceive distances. “Going in, I wanted to ask, ‘How do we define ourselves relative to the planet?’” Dr. Elasmar said in introducing the subject. Formerly the Director of the Communication Research Center at BU, Elasmar has had over 30 years of experience in the field of communication research. He specializes in applying mathematical models to problems that arise in communication. While being a professor of Communication Theory and Research, Dr. Elasmar does consulting for public relations and marketing firms. Additionally, he is a current editor of the International Journal of Public Opinion Research. He attributes his success in communication research to his interest in belief systems and social grouping. 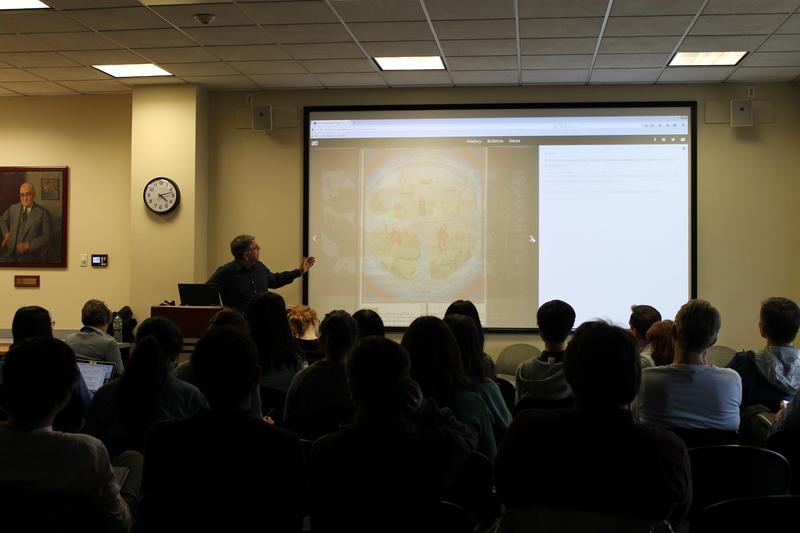 Toward the beginning of his research, Dr. Elasmar looked at ancient maps of earth drawn by various civilizations according to their interpretation. Starting with a carved disc from the ancient kingdom Babylon, the maps demonstrated how the view of the world has expanded in the eyes of the many ancient civilizations through the centuries. “This is how our view evolved as we collected more information,” he said. Dr. Elasmar also explained the primitive views that people from ancient civilization held about foreigners in contrast to more global outlook we share now. “People who were not from of the same place were imagined to have eyes on their chests, or to live in cocoons,” he said, showing the audience a drawing from an ancient monk. Since 2011, Elasmar had conducted surveys on undergraduate students at BU to see if their exposure to status updates and photos from Facebook friends living abroad had changed their awareness of these friends. This awareness is connected to a person’s cognitive distance, or perception of earth’s size. All surveys thus far have confirmed the more a person has exposure to the activities abroad, the smaller their cognitive distance. “The world in their head was shrunken,” Dr. Elasmar said about this phenomenon. While this information alone is revealing, Dr. Elasmar took the data a step further by hypothesizing about the social effects that this shrinkage may have. The research shows that “the measure of interconnectedness increases with increase in social media usage.” This interconnectedness will be particularly interesting for future communication research. “For now, these results can’t be generalized,” Dr. Elasmar concluded. This research is the first of its kind, and the researcher is hesitant to make sweeping assumptions about these findings. One of the attendees of this lecture pointed out that a survey of BU students might not be an accurate measure of the frequency of this change in cognitive distance because many international students that regularly live abroad attend BU, and many students also study abroad or have friends that study abroad. Dr. Elasmar agreed that this may be the case. While more information is certainly needed, the prospect is fascinating to many students currently studying communication research and mass communication. A second-year graduate student who attended the lecture said that she is excited to see where this data will go. She said she is particularly interested in the effect that active, frequent contact with friends that live abroad has on cognitive distance. 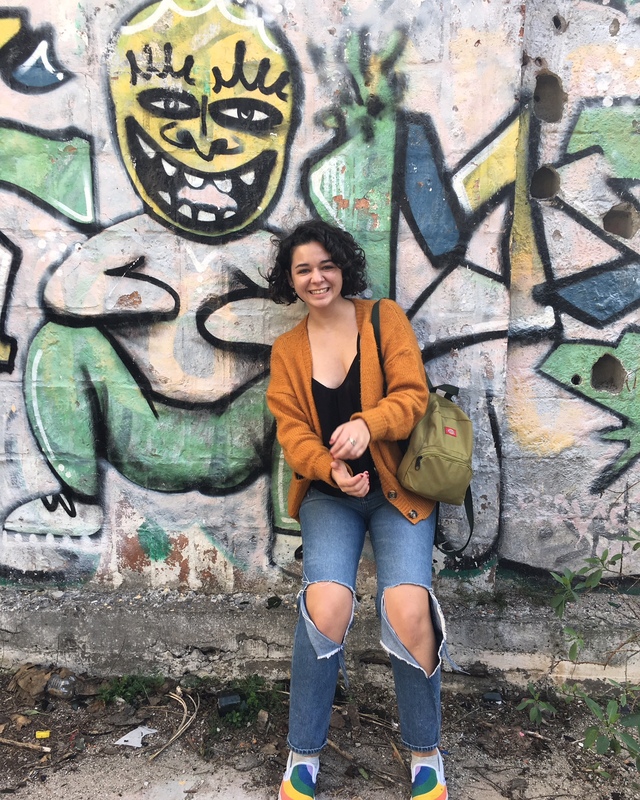 Dera Silvestre is a junior in the College of Communication studying mass communication with a minor in Spanish. On campus, she is involved in WTBU and the Student Philanthropy Center. This semester, Dera is completing a research and communication internship with Massachusetts Law Reform Institute. She is from Rhode Island.